They all came to that world for something that they had been denied – all except for one girl. 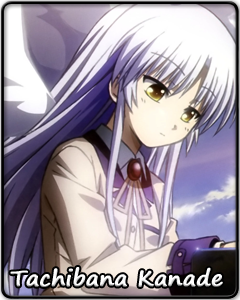 Months pass, and Kanade is still waiting. She is president of the gardening club, and the sole remaining member. She is student council president, and all alone in her duty. Through days filled with solitude, Kanade never stops helping others pick up the broken pieces, even at the cost of countless painful partings. As another day of trial draws to a close, Kanade sits alone at a dining table, a plate of her favorite mapo tofu in front of her. The taste will not erase the pain of bullet wounds or the memories of the harsh words thrown at her by those she wished to help. But it will give her the strength to remain firm in her resolution and do the right thing yet again. After all, she is not merely waiting.